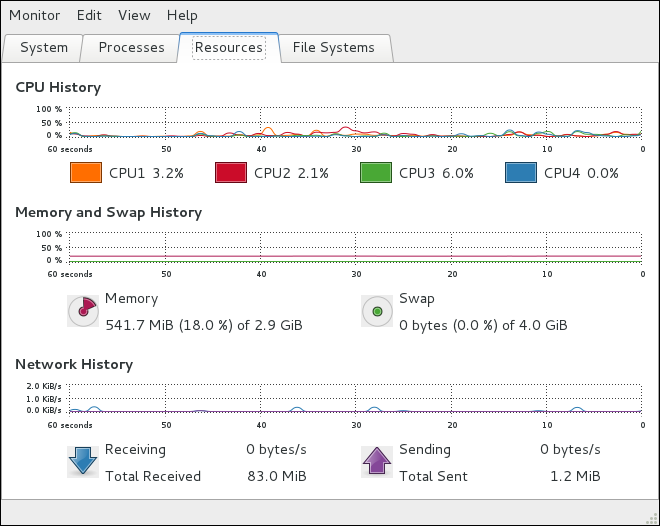 System_Monitoring_Tools.adoc#interactive-top-command contains useful interactive commands that you can use with top. For more information, refer to the top(1) manual page. Fedora Rawhide includes the Net-SNMP software suite, which includes a flexible and extensible Simple Network Management Protocol (SNMP) agent. This agent and its associated utilities can be used to provide performance data from a large number of systems to a variety of tools which support polling over the SNMP protocol. The Net-SNMP software suite is available as a set of RPM packages in the Fedora software distribution. System_Monitoring_Tools.adoc#tabl-System_Monitoring_Tools-Net-SNMP-Packages summarizes each of the packages and their contents. Note that you must have superuser privileges (that is, you must be logged in as root) to run this command. For more information on how to install new packages in Fedora, refer to Installing Packages. The net-snmp package contains snmpd, the SNMP Agent Daemon. This section provides information on how to start, stop, and restart the snmpd service, and shows how to enable or disable it in the multi-user target unit. For more information on the concept of target units and how to manage system services in Fedora in general, refer to Services and Daemons. To change the Net-SNMP Agent Daemon configuration, edit the /etc/snmp/snmpd.conf configuration file. The default snmpd.conf file shipped with Fedora Rawhide is heavily commented and serves as a good starting point for agent configuration. This section provides an overview of OIDs related to performance tuning available over SNMP. It assumes that the net-snmp-utils package is installed and that the user is granted access to the SNMP tree as described in System_Monitoring_Tools.adoc#sect-System_Monitoring_Tools-Net-SNMP-Configuring-Authentication. The Host Resources MIB included with Net-SNMP presents information about the current hardware and software configuration of a host to a client utility. System_Monitoring_Tools.adoc#tabl-System_Monitoring_Tools-Net-SNMP-OIDs summarizes the different OIDs available under that MIB. 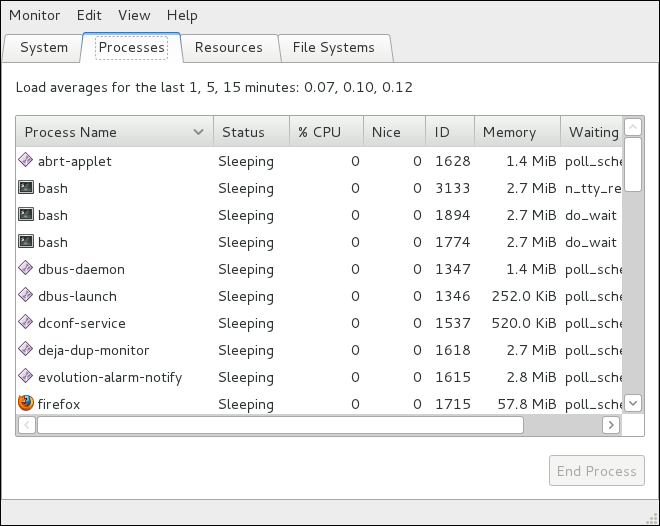 A number of the applications that ship with Fedora extend the Net-SNMP Agent to provide application metrics over SNMP. There are several ways to extend the agent for custom applications as well. This section describes extending the agent with shell scripts and Perl plug-ins. It assumes that the net-snmp-utils and net-snmp-perl packages are installed, and that the user is granted access to the SNMP tree as described in System_Monitoring_Tools.adoc#sect-System_Monitoring_Tools-Net-SNMP-Configuring-Authentication.